ArmourLux design and manufacture Pro AV fibre optic cables and connectors to various IP ratings and industry standards, suitable for a wide range of Pro AV applications. 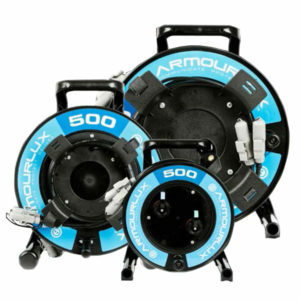 ArmourLux have been established over many years as a trusted provider of fibre optic cables, copper cables and network hardware. They are renowned for producing tough yet flexible cables. We supply a full range of ArmourLux Fibre Optic Cables. Please contact our Sales Team who will be happy to offer pricing and advice to find a solution that meets your requirements.